Mendelssohn-Bartholdy, Felix, 1809-1847. Con moto, piano, A major . 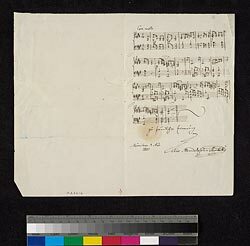 Con moto for piano in A major : autograph manuscript, 1831 Nov. 3.